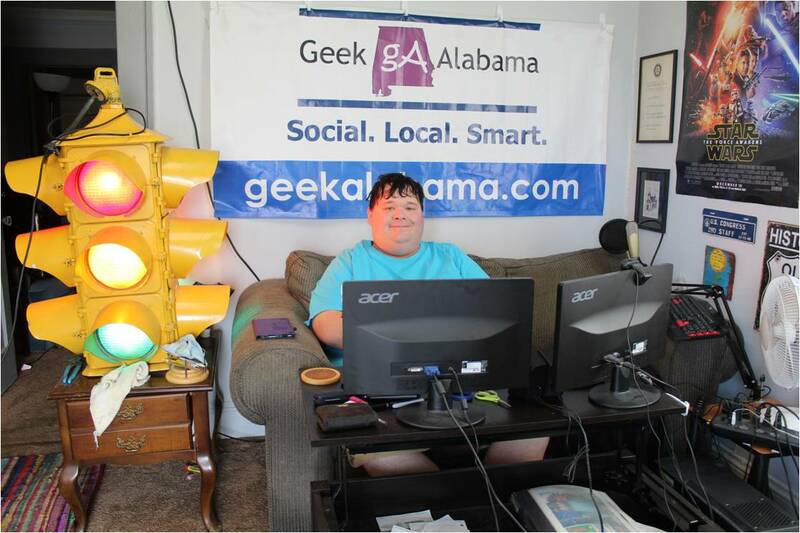 So, what is Alabama best known for? 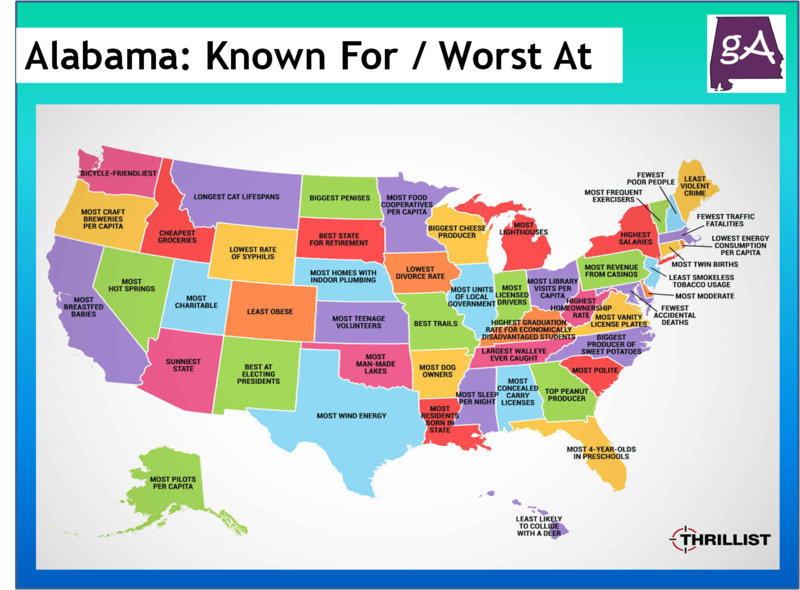 And what is Alabama known for being the worst? 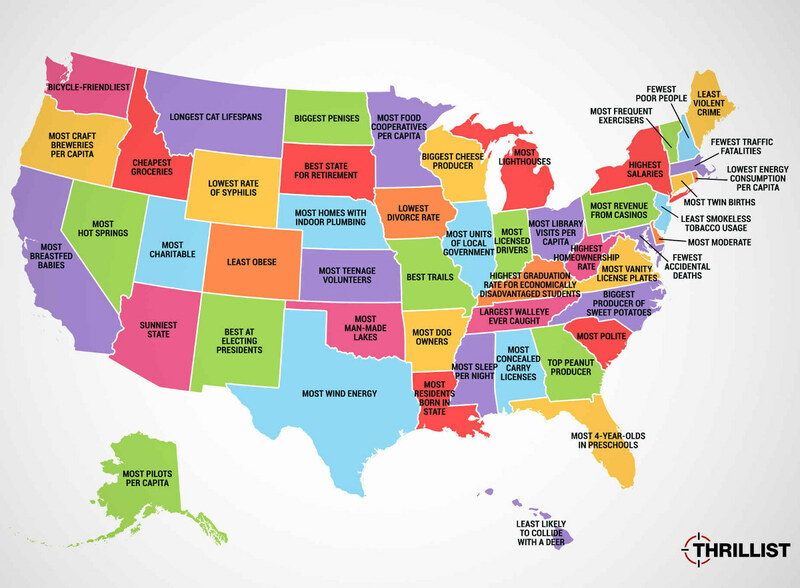 The folks from Thrillist put together a list of what each state is known for being the best and worst at. And in Alabama, people love to carry their guns. We are best known for having the most concealed carry licenses. 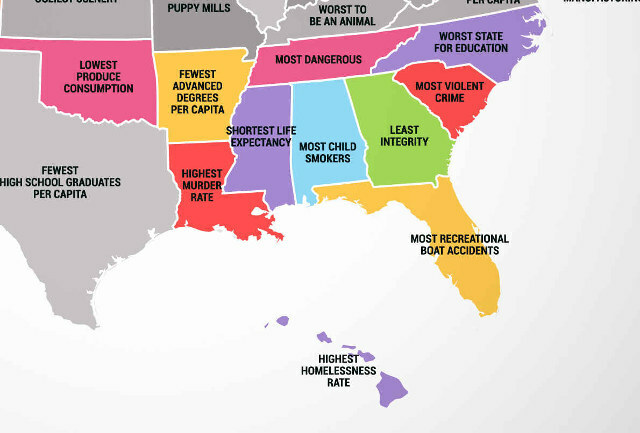 And for the worst, apparently we have a lot of child smokers in Alabama.